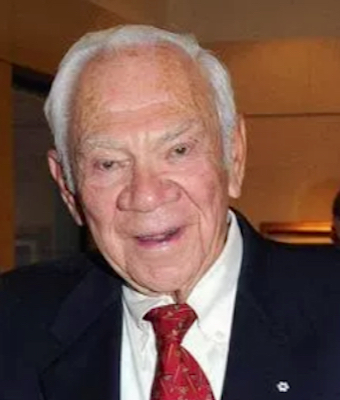 With the death of Murray Koffler at the age of 93 earlier this month, one of the master builders of retail pharmacy passed from the scene. Beginning with two independent drug stores in Toronto that he inherited from his father, Koffler created Shoppers Drug Mart, long the dominant pharmacy chain in Canada — now with more than 1,300 outlets across the country — and one of the best businesses of its kind anywhere in the world. In one sense, Koffler had greatness in the pharmacy sector thrust upon him. When he was 17 his father, Leon, died after suffering a heart attack, and Koffler was left to run the stores while attending the Ontario College of Pharmacy. He quickly established himself as an innovator, eschewing the soda fountains that at the time were a drug store staple, and emphasizing the centrality of pharmacy and its role in health care. Other new ideas that Koffler implemented that would help set the company apart and position it for rapid expansion were self-service in the front of the store and the development of the Life Brand private label line. Originally limited to men’s grooming products, Life Brand now encompasses hundreds of items throughout the store. Koffler’s most significant innovation was the development of the associate concept. Simple in theory but difficult to execute effectively, the paradigm is designed to combine the best elements of chain and independent drug stores. The associate concept enabled pharmacists to become business owners without raising capital. Shoppers Drug Mart, which was officially launched in 1962, paid for startup costs and guaranteed credit with landlords and suppliers. Once part of the Shoppers Drug Mart system, associates paid a percentage of their revenue in return for ongoing support in such areas as marketing, merchandising and distribution. The associate concept caught on, giving Koffler, who was quick to recognize emerging opportunities in Toronto’s suburbs and beyond, a solid foundation on which to build. Shoppers Drug Mart more than doubled in size in 1968 when it merged with Plaza Drugs. A decade later, after pushing its store count past the 360 mark, the company was acquired by Imasco Ltd. Koffler served as chairman until 1983, and he remains a revered figure within the organization, now owned by Loblaw Cos., to this day. For all his success in the business world (in addition to establishing Shoppers Drug Mart, he was cofounder of the Four Seasons hotel chain), Koffler should be equally well remembered for his generosity and interest in helping others. He and his wife, Marvelle, who survives him, were major benefactors of cultural, health care and educational institutions in Canada and Israel. But Koffler’s passion — as a pharmacist and a businessman — was always what he could do for the individuals he encountered. Koffler will remain a source of inspiration for the people at Shoppers Drug Mart and in the broader pharmacy community for a long time to come.